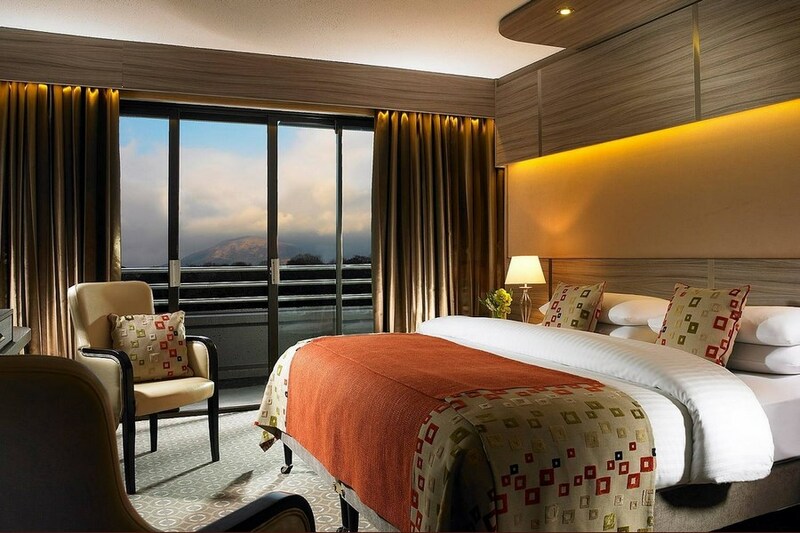 The Gleneagle is a renowned Killarneyhotel offering you the best in accommodation and entertainment, with everything to suit the family, the golfer, the active adventure seeker or those just wishing to take a break and relax. Once in Killarney, follow the signs for Muckross and the Gleneagle Hotel is on Muckross Road. The Gleneagle Hotel, Killarney is also synonymous with presenting world class entertainment and we are proud to host a line-up of entertainment like no other hotel in Ireland from cabaret artists in The Gleneagle Ballroom to West End and Broadway productions in the adjacent INEC. 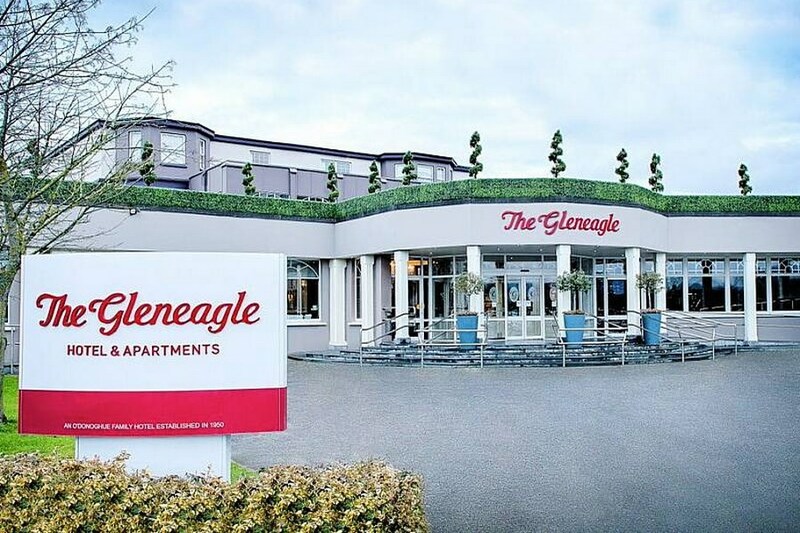 Our family have stayed at the Gleneagle for many years now and have found it second to none as regards comfort and value for money. Due to recent events and the children growing up it seems that I will be travelling alone. They must be complimented on their entertainment program and the beautiful leisure centre. I am looking forward to returning there on the 28 January 18 Many thanks to all the staff for their help and understanding. Great for weekend break with the family. Kids loved the Aquila club. Just back from a fab weekend , couldnt fault it from the friendly staff to the lovely dinners and the breakfast was divine loved the sausages and the pancakes were yummy..looking forward to going back next year. Had a gorgeous room at the front of the hotel, with a view of a field of deer. The room had a balcony and was lovely & bright & airy. We paid €80 for the room including breakfast. Very happy. It was one of the best breaks we have had . Our English visitors were very impressed & intend doing it again . Hotel ,food & staff very good . Entertainment very nice . With the amount of people staying it ran very very smooth . Can't give it enough praise . I give the Gleneagle Hotel 4 out of 5. 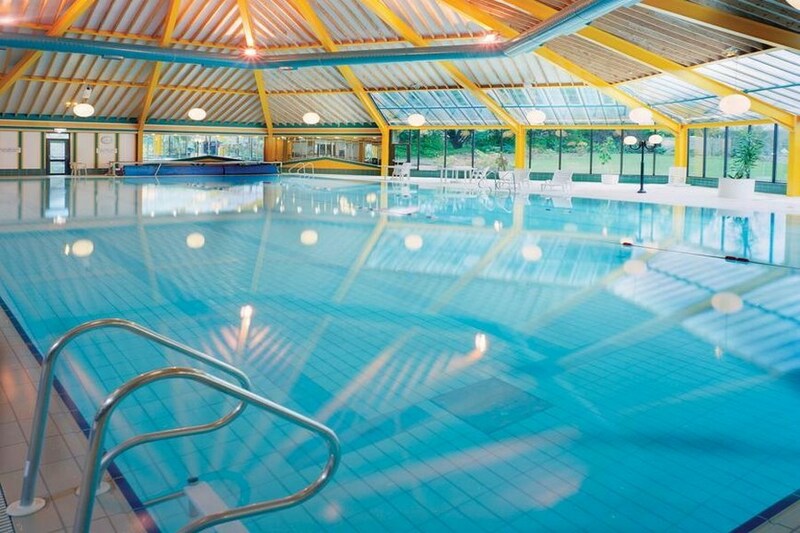 I found the hotel staff very pleasent and there was enough facilities to entertain the kids such as the swimming pool, kids under 5 playing area and the hotel's location close to local amenties such as Muckross House and Torc Waterfall. I enjoyed the breakfast. Stayed overnight in family room. Fine big bedroom, very clean. Dined in Flesk restaurant, food was served very quickly after order was taken, enjoyed meal. Service was very good. Music in ballroom later that night . Substantial breakfast which was very good. Great leisure centre. Enjoyed our stay. It was excellent. Fabulous entertainment. Lovely room, great food & plenty choices. Friendly staff. Thank you for a lovely time. I would definitely recommend the Gleneagle Hotel to friends & family. Lovely hotel but needs to be upgraded. Pity that the courtesy bus only operates up to certain times during the day. Staff was very Friendly and helpful and the rooms clean and tidy and the breakfast was sumptius. we all enyoed our stay. We stayed here for one night with 2 children and a toddler. This hotel has fantastic activities and entertainment for families. Most of the staff are extremely friendly our greeting was very welcoming. Restaurant food quite simple and nice.We would stay here again though just noted a few things our room was quite small for five of us and dated. Also late check in of 4pm bit inconvenient if you only have one night there and want to make most of your time. Found supplement in restaurant of 10 euro per child especially a toddler bit much for what he ate.Overall good value when you consider their entertainment and facilities. Lovely stay in a beautiful room with a view of the mountains,had a great dinner in restaurant,enjoyed the pool and leisure centre,spent the night in the bar with music for entertainment......loved it....no complaints....will return again without a doubt. fantastic stay at the glen eagle hotel as always. the gleneagle is one of the best hotels we haue ever stayed in, great food. great free intertainent, great place for kids too, we all loved it., we are just we didnt book a longer break there, but we wil go again in the near future. We stayed for 1 night- Saturday. I was very pleased with the hotel, great value for money. I found the staff very helpful and friendly. The bedrooms were spacious-a double and 2 twin beds in all 3 rooms we booked. The lobby area is nice and there are lots of different areas with couches for relaxing. We had the 2 course dinner as part of the deal. It was a nice meal for the price. I was impressed with the price of the house wines and we liked the red. The breakfast was excellent. We arrived at the busy time and there was a queue, but all was well organised. Great choice of everything and the hot food was freshly cooked.We loved the fruit salad and I liked the small bowels of seeds near the cereals.If I had to make a suggestion it would be that the back door to the bedrooms/ car park could do with freshening up -painting. The rest of the hotel is lovely. Enjoyed the pool and sauna. Thanks to all, esp the hostess in the restaurant, she is very good at her job. very impressed with the new look Gleneagle Hotel .even though our room was not one that had been refurbished it was still lovely and comfortable.There are many really nice areas to sit have a coffee, read ,or just people watch,some with lovely open fires just like being at home!We got a nice surprise when we saw that it was free for residents to the inec acustic room where Don Baker was playing(saving us 30euro). The staff were very efficient and friendly and breakfast was very good,however it was missing some pastries which some visitors might like.The evening meal on the other hand was only average but good value at the same time. Its a great hotel to go to in winter or off peak time as there is so many facilities and sense of space which is a bonus when the weather is a issue.Also so good for family groups. The gleneagle is the best hotel ive ever stayed in,we had a fab meal there, and great music provided free to resedents, ile definitely stay there again. Chris from Newmarket Cork. I stayed here for 1 night on the 9th Nov 2013 with my husband and another couple. Our room was lovely and on the 5th floor. The entertainment in the hotel is superb. You have everything you need in the hotel and theres no need to leave it. We had dinner booked in the restaurant and the food was absolutely gorgeous. Great offers on the house wine too. Pool was also lovely and clean. And breakfast was delcious. I woud definitely recommend this hotel and will be returning soon. fantastic hotel i would recommend it to anyone and everyone and always do. We have stayed in the Gleneagles on several occasions ..couldn't fault it .. I had a one night stay and i thought it to be excellent. One of the best hotels iv stayed in should be four star!! !Loved this hotel,very friendly staff,lovely food and very clean .. Overall I will be reccomending this hotel to my friends and family. My family stayed here for the 2 nights B&B with dinner 1 night deal. We were very satisfied with the room, basic but comfortable and clean. My daughter had a great time in the pool and enjoyed her stay there. There was a darts tournament on at the time and it was a bit noisy late that night and you could hear every footsteps going by our room. The breakfast was excellent and we had a small misunderstanding with my dinner order but the staff were very good with sorting it out and gave us an extra dessert to make up for the small mistake. The bars were good and let my daughter and niece stay there till 10:30 as the were enjoying the music and weren't causing any bother to anyone. I can highly recommend this hotel to anyone with a family for a few nights stay. Thanks today tm for your great deal as we really enjoyed our stay. Great facilities, staff very professional and food is delious, will be returning. Very enjoyable stay in the Gleneagle and very good value for money. Room was nice with lovely view from balcony. Great entertainment available - Nathan Carter in the ballroom and more music and dancing later in the Green Room. Breakfast was good also and staff very nice. On returning home I realised that I was overcharged as I had paid a deposit when booking and this was not deducted. I rang the hotel and a very nice gentleman on reception was able to rectify this and refunded me my deposit. Looking forward to staying here again. stayed in this hotel last weekend had a lovely time food was fab room was lovely and staff were friendly. Nice hotel but a little 'dated' Service in the restaurant on Saturday night was dreadful - the food was cold when it finally arrived. However on Sunday morning breakfast was fine with a great selection. Good leisure facilities but I probably wouldn't stay there again. My Family and I had a a brillant stay ,I found the staff so helpfull all the way from start to finish of our stay ,While we were at our first night my husband got sick and head to return home ,As been on my own with 3 children The staff really helped to accomodate me so my children could enjoy the activities . I would highly recommend this hotel I know there is worl been done to hotel but it would not stop me from returning.